All soil types are vulnerable to compaction, although heavy clay soils are more prone to this than light sandy soils due to the small soil particles of clay. Aeration is the process of relieving compaction and increasing air space to help promote a healthy growing environment for grass. Compaction is basically a result of weight/traffic placed on the soil particles, which causes a breakdown in soil structure resulting in lack of air/oxygen. 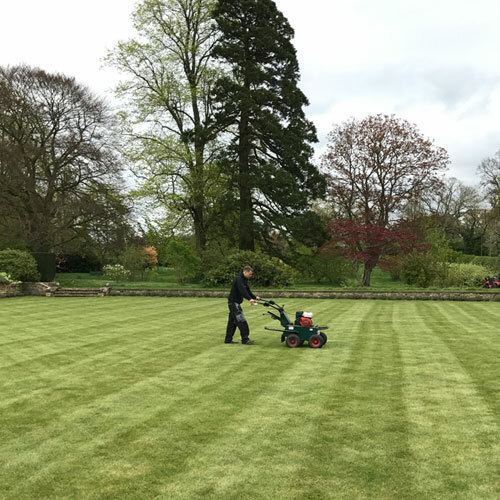 This in turn has an adverse effect on the health of the lawn often resulting in weak grass coverage/excessive thatch and moss build up. Heavy compaction causes the pore spaces in the soil to become smaller, thus reducing the amount of air space held in the root zone. This inhibits drainage, which in turn has a negative effect on rooting, encourages shallow rooted grasses which in turn will reduce drought resistance. A deeper rooted grass will survive better through the summer months. The lack of air/oxygen also has a detrimental effect on micro organisms living in the soil, which need air to survive. These micro organisms are needed to help break down the thatch layer and return nutrients to the grass. Overall a lack of air has an adverse effect on the overall health of your lawn. The purpose of aerating is quite simply to let air, water and nutrients into the soil and to relieve heavy compaction. An improvement in deeper rooting, producing a healthier drought resistant lawn. Encourages micro organisms which are beneficial to soil as they aid the thatch breakdown. They also help with disease resistance as they inhibit the pathogens that causes the disease. Helps irrigation by helping the water go down to the roots and reduce surface run off and evaporation. 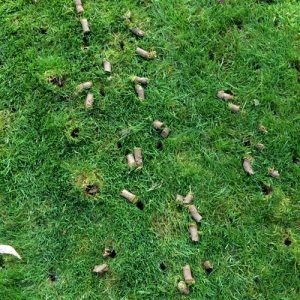 If lawn aeration is carried out before top dressing it helps improve the soil structure as the top dressing fills the holes created by the aeration. 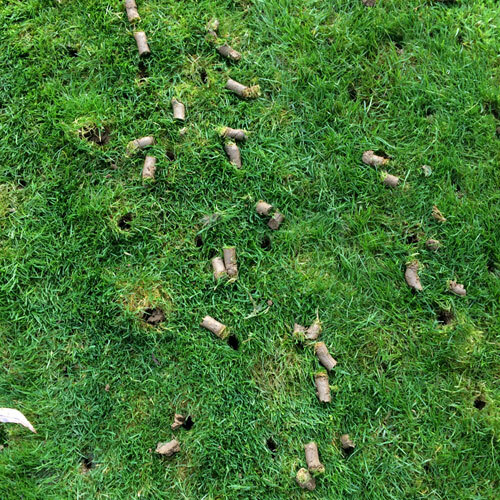 Spiking or Solid Tinning: This is most common type of aeration on a lawn. 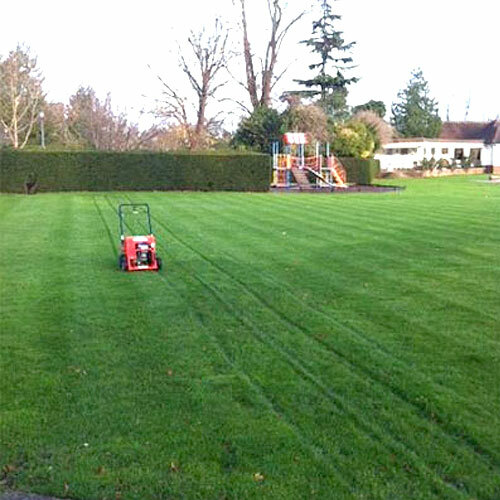 Spiking is often preferred as numerous passes can be made with no cores to collect or disruption to the lawn. 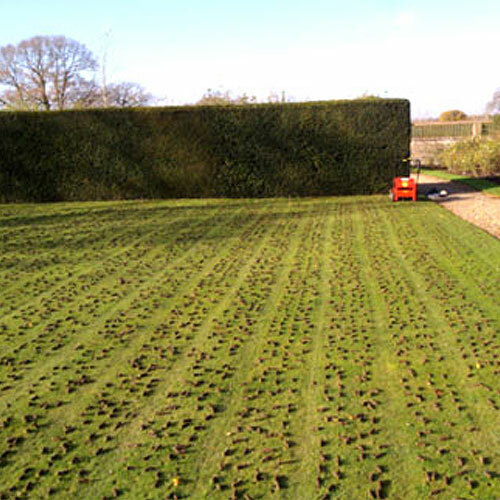 Hollow Tining or Core Aeration: This process involves the removal of soil/thatch cores from the lawn. 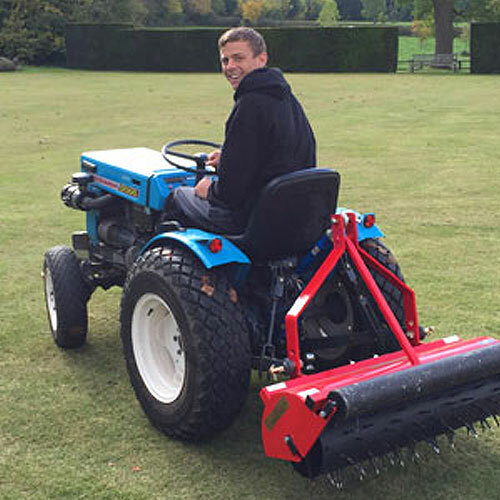 The main benefits of this method would be to remove heavy thatch and also very beneficial before top dressing as it leaves larger holes than other types of aeration. Therefore it is easier to work in top dressing through the holes and into the root zone profile. 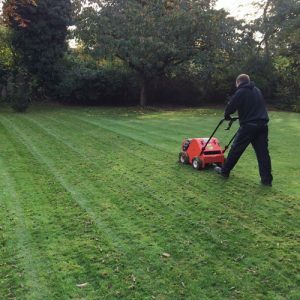 Removes harmful excess thatch from your lawn. Thatch is a build up of surface and sub-surface dead grass, grass clippings & moss that can accumulate over many years.